We offer online ordering to make things simple and convenient for our clients! We welcome all new clients to our veterinary facility. We invite you to contact us today. We would love to discuss your pet’s care. If you have any questions or concerns, please call us at 314-352-8600. In the world of economic hardships, pets are not immune to the ramifications. We at the Affton Veterinary Clinic believe in serving our community, and want to help promote organizations that specialize in rescue and sheltering animals. 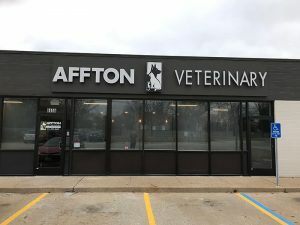 Affton Veterinary Clinic welcomes all new clients. We are strong advocates of communication and will partner with you to solve your pet’s health care issues while providing the best care available. Please call 314-352-8600 to make an appointment. We welcome your call and will be happy to answer any of your questions.